We introduce an approximate bisimulation-based framework that gives an upper bound of the Skorokhod metric between a switched system with delays and its delay-free model. To establish the approximate bisimulation relation, we rely on an incremental stability assumption. We showcase our framework using an example of a boost DC-DC converter. The obtained upper bound of the Skorokhod metric can be used to reduce the reachability analysis (or the safety controller synthesis) of the switched system with delays to that of the delay-free model. 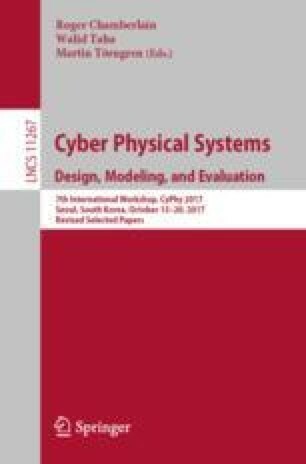 The authors are supported by JST ERATO HASUO Metamathematics for Systems Design Project (No. JPMJER1603), and JSPS Grant-in-Aid No. 15KT0012. K.K. is supported by JSPS under JSPS Grants-in-Aid for JSPS Research Fellows No. 15J05580. The results of this paper are part of K.K.’s Ph.D. thesis .